Plowshares will be celebrating Holy Week April 14-21. All are welcome to join us as we end our Lenten time of lament through the Psalms with Easter celebration. 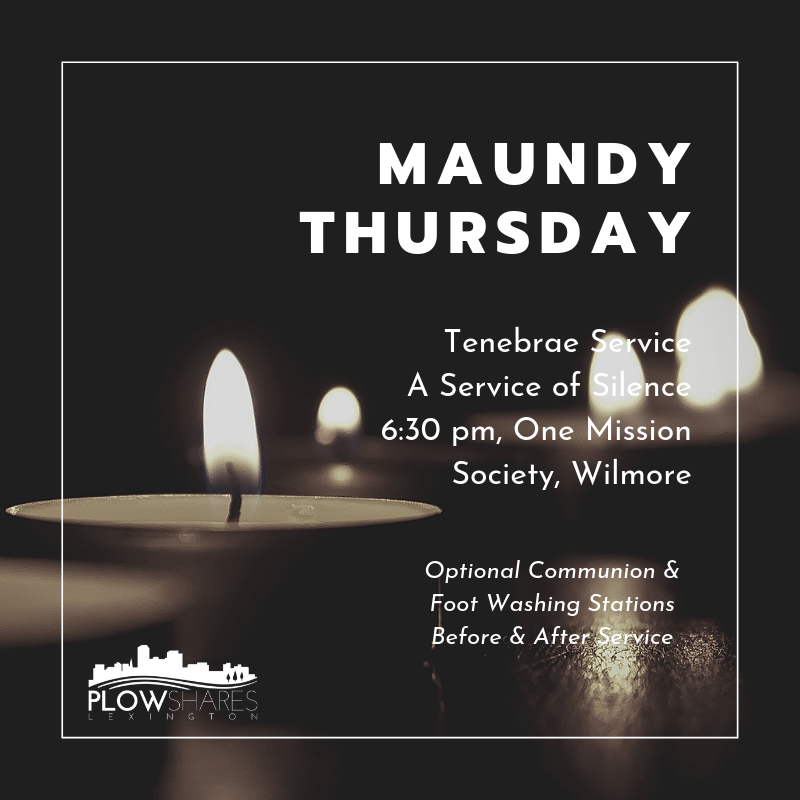 As we prepare for Holy Week, we invite you to join us for a Maundy Thursday silent Tenebrae service as we reflect on the last moments of Jesus' life. We will have optional foot washing and communion stations set up at 6:30 pm and will begin our service of readings and song at 6:45 pm. All are welcome.